Click the link above to watch the full “Proper Golf Swing Plane” video for FREE. To analyze your swing correctly you must be sure to have a proper camera setup. How do I get the proper camera setup? 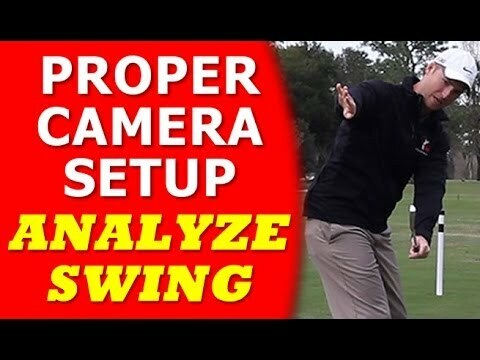 Simple, watch in this video to get a few tips on how to properly setup your camera at just the right angle, level, also the proper stance for yourself, to be able to better analyze your swing. This will help you to actually be able to see your golf swing broken down thoroughly so you can work on perfecting that swing and get back out on the course hitting more accurate than before. will introduce a few tools to help you achieve this proper camera setup for both down the line and face on angles. Catch this proper camera setup video and many other lessons by the Rotary Swing team! We have also attached a link and short preview of our premium video “Proper Golf Swing Plane” at the end of this video. Catch the full video on our website, www.RotarySwing.com. Good luck on your golf game! Next Next post: Best Golf swing tips ever – Fantastic advice!